All This and a Terrace Too!As soon as you pass through the entrance foyer, you are struck by the wall of south facing windows looking onto a beautiful cityscape which includes the historic Moorish-style Park Avenue Synagogue. 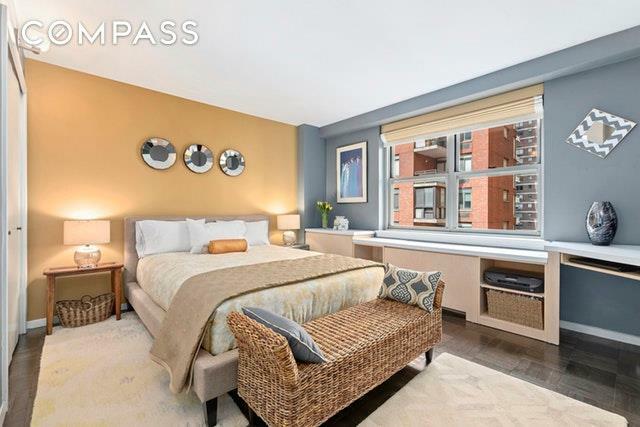 This spacious 2 bed room, 2 bath apartment with large L-shaped flex space accommodates separate living, dining and den areas, or can be easily converted into a 3 bedroom with a generous living-dining room. 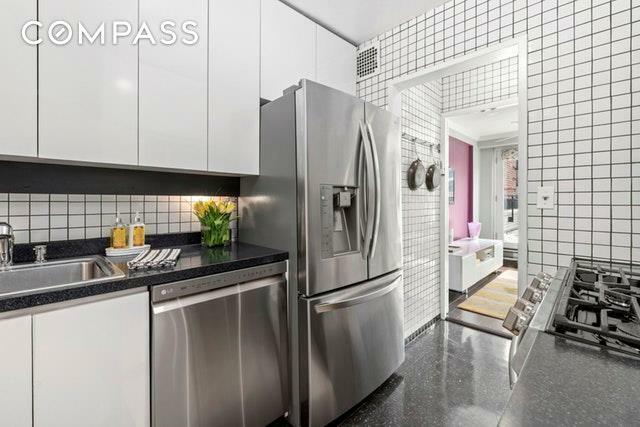 This meticulously maintained home in a full-service building is located between Park and Madison Avenues, just 1 block from Central Park.The sleek and modern kitchen includes all new stainless-steel appliances and separate dry bar. The two large bedrooms face north onto an interior courtyard which affords good sunlight during the day and quite rest at night. The ensuite master bathroom is walled in floor-to-ceiling marble with great lighting, wall mirrors, double sinks, an oversized, enclosed shower stall, and built in vanity. The second bath has a pedestal sink, full-sized tub/shower combination, a wall mirror, and great lighting as well. Refinished hardwood floors and central air-conditioning throughout. There is a large walk-in closet off the foyer with a washer/dryer and theres a second walk-in closet plus 7 additional closets, providing abundant storage.Whether you enjoy outdoor entertaining, gardening (yes, theres an exterior faucet), sipping coffee, or having a quiet drink, the nearly 400 SF terrace can be your private oasis. 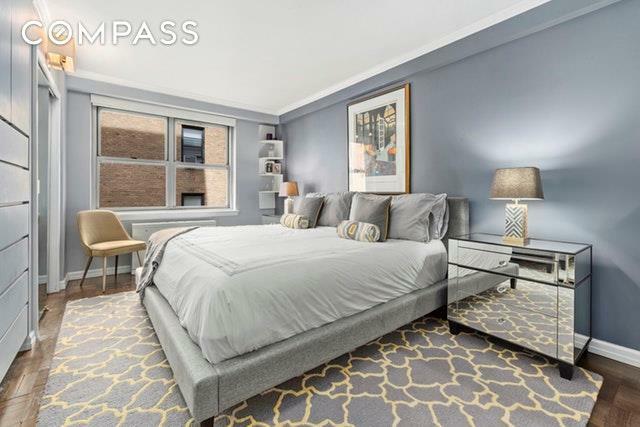 Here, set back above a leafy block of tranquil East 87th Street in prime Carnegie Hill, a rare opportunity awaits.The Parc is an intimately-sized luxury co-op built in 1963 with full-time door person and resident manager. On-site attended garage available to rent, bike room, and pet friendly too. World-class museums, abundant shopping, copious dining choices, and close to the soon-to-be fully renovated 86th street subway station. Terrace photo virtually staged. 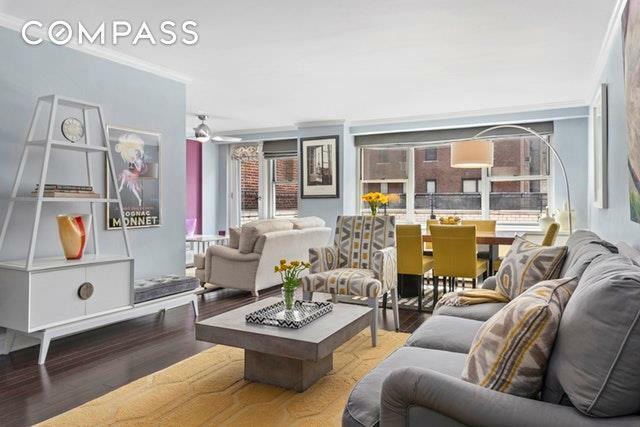 Listing courtesy of Thomas Michael Rozboril of Compass.